Limes probably came from the Indonesian Archipelago or the neighbouring Indian sub-continent. They were popular with Arabians who transported them to North Africa around 1000AD, from where they spread to southern Europe. The Spanish took the fruits to the new country where they grew in abundance. 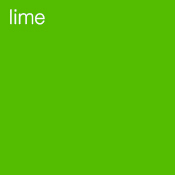 Today, Mexico and Brazil produce over 1.3 million metric tons of limes a year. Limes contain vitamin C (ascorbic acid) and were formerly used in the British Navy to prevent scurvy; hence the nickname ‘Limey’. The trees are small and are less than 15 feet high producing small white flowers in clusters. From these come the fruit, the zest of which is used for production of the oil. 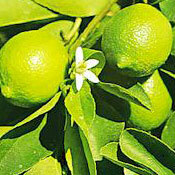 Lime oil is now processed by distillation mainly in the West Indies.